The holidays are great for many reasons. However, with all the family time planned, don’t forget to continue to take care of yourself by exercising and eating healthy foods like you’ve done all year. Just because you get a few days off work doesn’t give you an excuse to eat garbage and not move your body around. If anything, it should be the opposite. No work equals going to the gym earlier in the day to start your day off right. I understand that you may be busy but here are 3 tips I use for making sure to not fall off the wagon during the holidays. 1) Plan your day around a workout and do not compromise that. It sounds selfish, but it’s the right thing to do. As long as it’s important to you, you’ll find a way to make it happen. If you have events planned all day, wake up 30 minutes earlier and hit something quick. Something is better than nothing and you’re stacking the odds in your favor as you gain momentum for the day. 2) Keep all the sweets and unhealthy treats out of sight and out of mind. When someone leaves a dish of peanut M&M’s on the counter-top near me, those things don’t stand a chance. You bet I’m going to devour a handful each time I walk past the dish. However, if the treats aren’t in a convenient location, I am not nearly as likely to grab them. By leaving them on the counter, I have to exert self-control each time I walk by. By removing them from my line of sight, I am removing the necessity to have self-control, which sets me up for success. Why test your self-control when you can simply remove them? 3) If you’re going to eat treats, eat them only after you finish your healthy meal. I will fully admit that I do not have much self-control once I start eating sweets. It’s not a good thing, but at least I recognize my areas of weakness. To prevent myself from eating wayyyyyy more than I should, I eat my treats after I’ve eaten my healthy meal. Why? Because my stomach has limited space left, especially after I fill it with high volume foods like broccoli, spinach, bell pepper, etc. Even if I fill my stomach with treats, there’s not much space left to fill. I hope everyone has a wonderful holiday. I understand you may not be able to come to the gym everyday, but there are plenty of workouts you can do without any equipment at home. 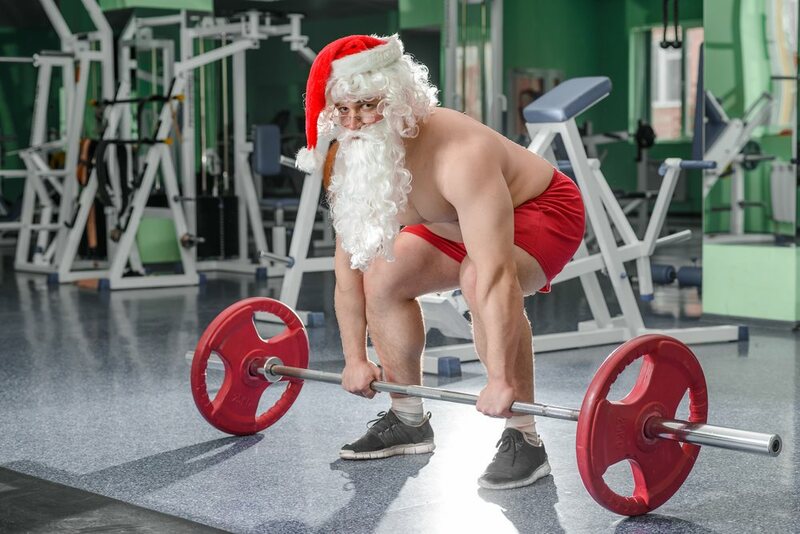 Yes, I’ll even be working out on Christmas day. I listed 4 home workouts on the blog a few weeks ago here. Enjoy some treats but don’t go totally wild. 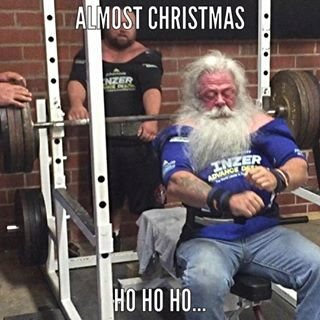 Enjoy your holidays and get ready to put in some hard work to be prepared for the 2016 CrossFit Open.